It was only a matter of time that somebody pulled it off. The elusive double back flip in snowmobiling has defied the efforts of riders before, but now Daniel Bodin has cemented his name in the record books as the first to make it happen. 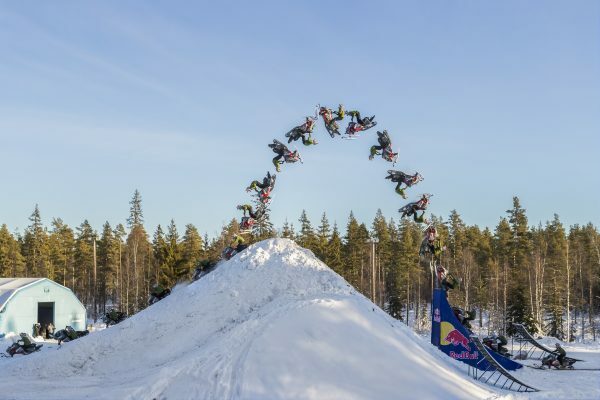 The Red Bull sponsored athlete from Sweden became the first snowmobiler to pull a double backflip when he set up the stunt in his home country. He said he did at this time in order to beat other riders in the upcoming Winter X Games who would likely attempt the same.